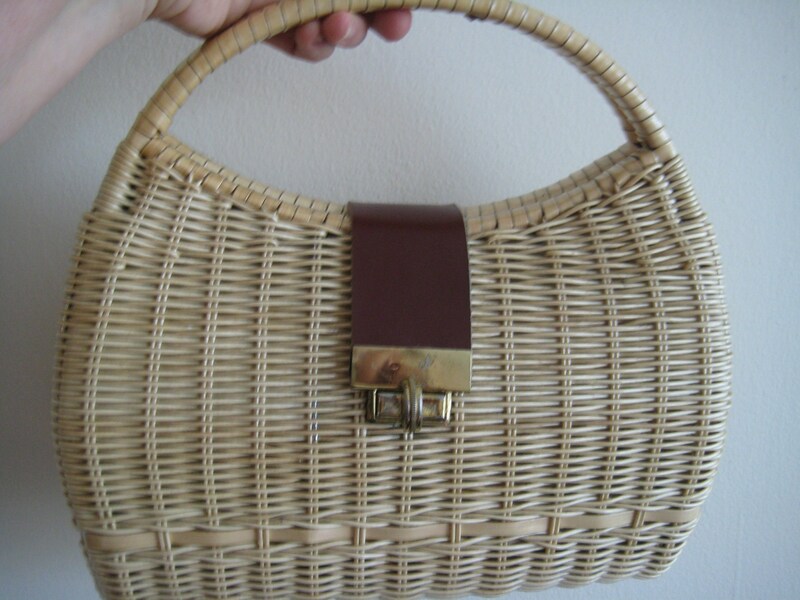 Vintage wicker handbag with a Kate Spade look. 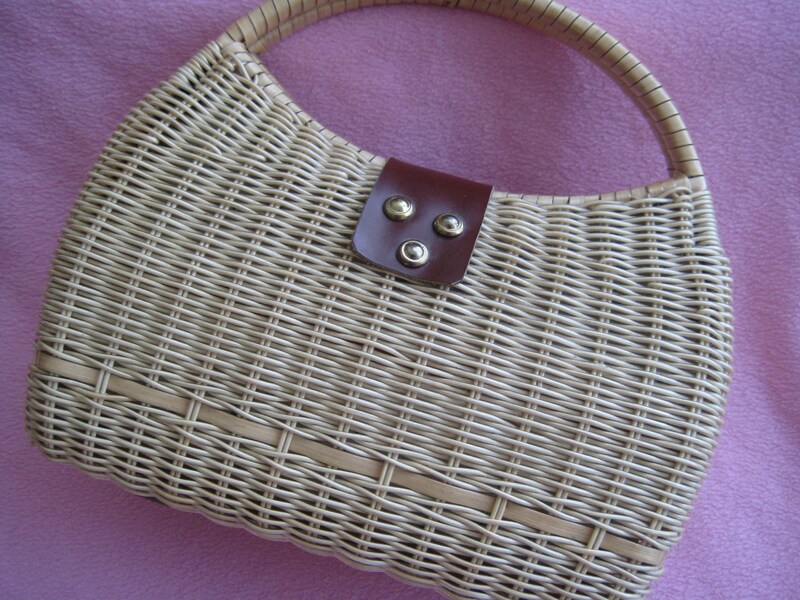 Natural color woven body with a woven trim along the bottom. Rounded, stationary handle. 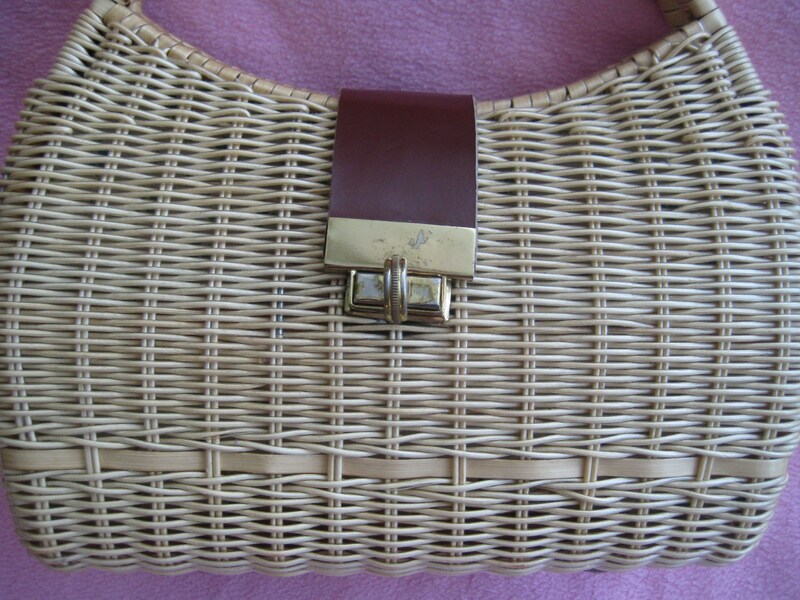 Leather flap that folds over for a gold tone metal keyhole catch. 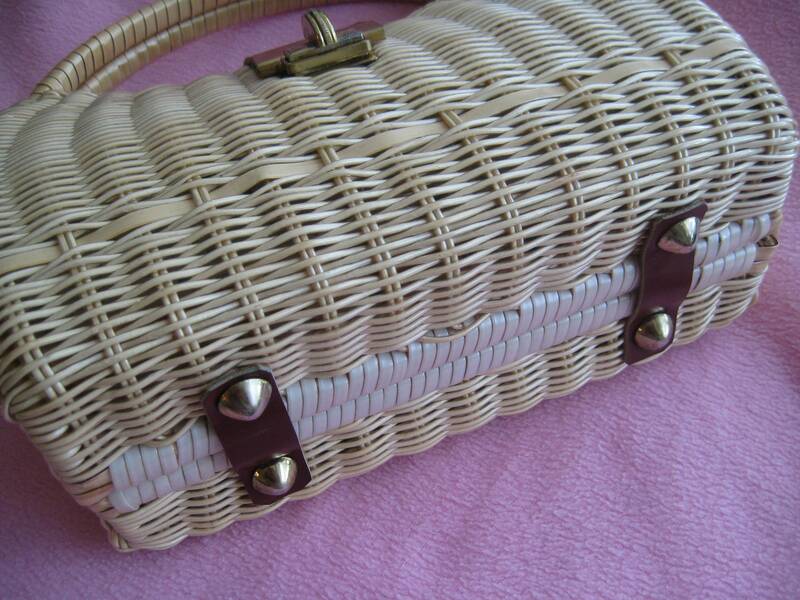 There is some wearing on the latch as shown. 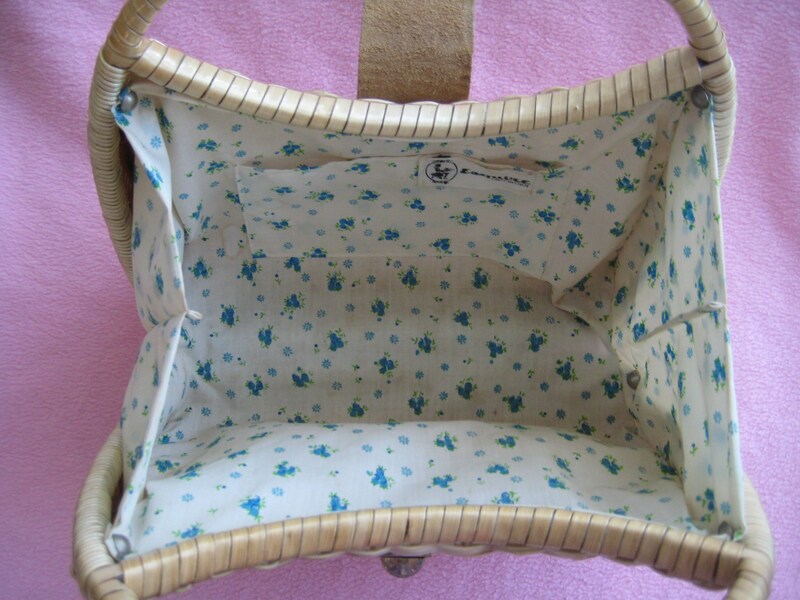 Roomy interior with cotton lining. 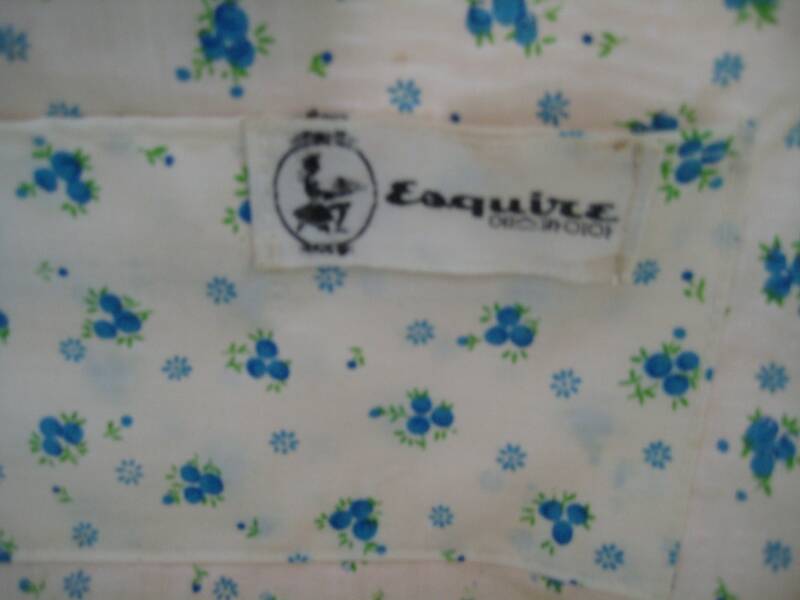 Esquire brand label. Vintage with hip, modern flare. Dimensions: 10 inches long x 10 inches tall x 3 inches wide on the bottom.